Here at The Deli we are all avid skiers, so what better place to stop next on our International Tour than the Swiss Alps! 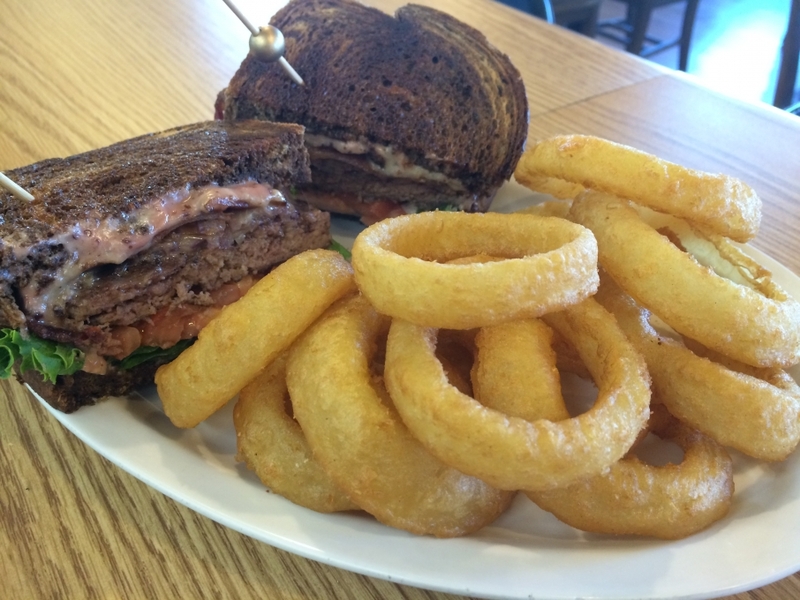 Here we have the Black Diamond Bacon Burger: our grilled hamburger with a black diamond white cheddar, bacon, lettuce, tomato, and a blackberry-dijon cream sauce on our marbled rye with a side of onion rings for $9.25! Soups today are Shorty’s Flamethrower Chili, Chicken & Wild Rice, and Tomato Basil as well as Chili, Chicken Noodle, and Lobster Bisque! Also, please don’t mind the construction in our parking lot – we are open! Have a great day Switzerland!